Jacob Obrechstraat, 33, 1071 Amsterdam, Nierderlande. 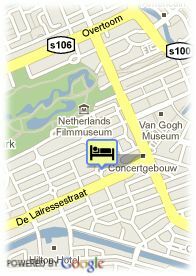 Hotel Omega is a comfortable hotel in the most exclusive area of Amsterdam. Located inside a nice typically dutch building and with very comfortable facilities, the Omega Hotel represents one of the most interesting accommodations from Amsterdam. This hotel is situated in the city's old town. 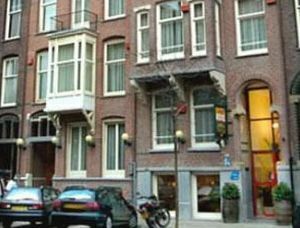 The Omega Hotel is placed a step away from the van gogh and national museum, and very close to the best restaurants and shops from Amsterdam. The Omega Hotel is a small establishment but with much charm, which offers personalized and professional attention to its customers. It disposes of TV with Plus Channel, telephone, mini bar and complete Bathroom, among others. A privileged location, a considerate and pleasant treatment and comfortable rooms in order to enjoy everything that Amsterdam offers. Bezahltes open air Parkplätze beim Hotel. Park, Stadtzentrum, Museenviertel, in der Nähe der Altstadt. Bitte, kontaktieren Sie das Hotel für weitere auskünfte über die Annulierungsbedingungen.